Lifetime Mortgages are one way of releasing equity that’s in your home while being able to continue living there. 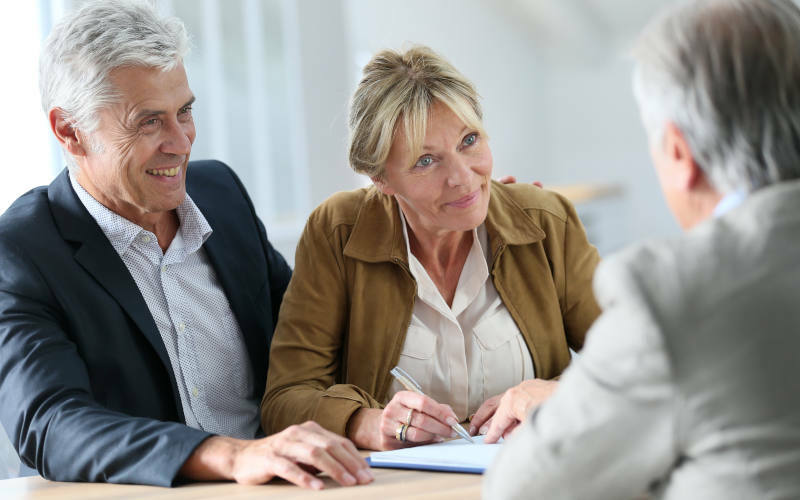 The principle is that you take out a loan that is secured on your home (a mortgage), that does not need to be repaid until you pass away or move into long-term care. As outlined above, a lifetime mortgage involves borrowing money against the value of your home, that does not need to be paid back until your home is sold upon your moving into care or passing away. The property – and the responsibility for maintaining it – is still completely yours. If you are considering a lifetime mortgage, it’s important to know that it’s possible to ring-fence a portion of the property’s value so that your family still has something to inherit. There is also a “no negative equity” guarantee, which means that, should the value of your home decrease over the course of the lifetime mortgage, your estate would not end up owing more than the final value of the property. There are a couple of repayment options when looking at a lifetime mortgage: one where the interest rolls up into a sum that is payable at the end of your mortgage term, or interest-paying mortgages that require you to pay back the interest in regular or ad-hoc amounts. Typically, lenders that allow this set a 10% per annum level that is normally based on original loan and subsequent drawdown amounts. The second type usually ends up being more cost-effective overall, but the “best” one will depend entirely on your circumstances and preferences. You can see more information on our equity release page. Yes, a few. For starters, the majority of lifetime mortgages are designed for your primary residence, but their products are also available for buy-to-let properties and second homes. Plus, most lenders will have a minimum age you have to be before you can apply – usually somewhere between 55 and 60. Your age will affect how much you can borrow, too. For example, at 65 you can expect to borrow between 25% and 30% of your property’s value. As you get older, you can borrow as much as 50%. You should be aware that lenders will have minimum loan amount, which can range between £10,000 and £45,000, and your home will have to have a certain value in order to be eligible (at least £70,000 but higher for some lenders). As with any big financial decision, entering an equity release scheme should not be rushed. Take the time to carefully consider your alternative options, discuss the idea with your family and seek professional advice. I have been an Independent Financial Advisor for many years and provide specialist, unbiased advice about the implications of equity release and the options available. For more information about the service I provide, please get in touch. I would be happy to answer any questions you may have and arrange a free, no-obligation initial consultation at a time and place that is convenient for you. To guard against this, most lifetime mortgages offer a no-negative-equity guarantee (Equity Release Council standard).